Let’s table our personal musical likes and dislikes and all admit, for any drummer, to have a gig at this level is pretty amazing and he has had this gig for 2 ½ years. 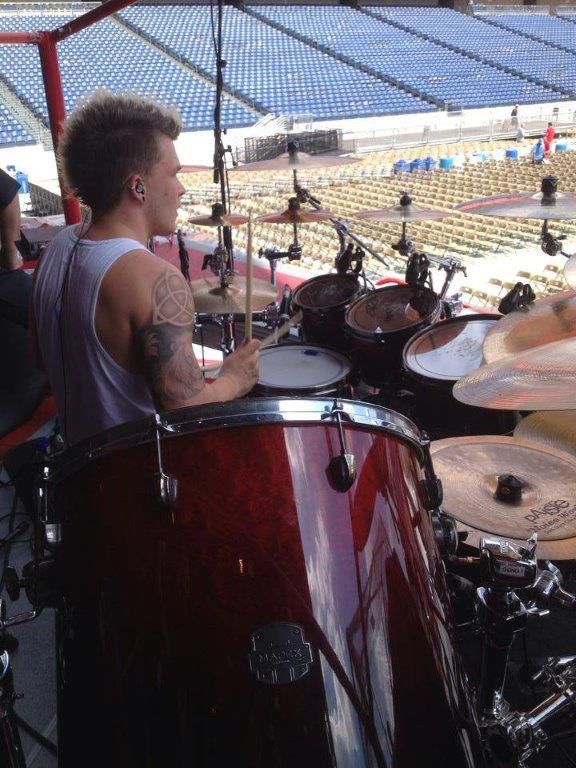 When Josh arrived at sound check he was ready and all business. Even with his amazing tech Fred Burke doing a smashing job on tuning and setting up the Saturn IV kit, Josh still went around the kit checking it, doing a few adjustments , and then he let it rip! Sound check was about 5 songs, and again, all business…no messing about. After sound check we were able to visit and come to find out that the day before Josh was in Franklin, TN doing some recording with Steven Curtis Chapman. Josh admitted that touring and keeping life together at this level can have its challenges but he openly admits if you come to the all of your gigs prepared, take very seriously your gear, how it sounds and how it looks, and most of all treat people with respect and try and be upbeat and positive, good things will happen!